Since its beginnings, jazz has engaged with popular music, but it's largely built on the blues—throughout jazz's history, countless staples of its repertoire have pushed the genre forward using variants of the elemental blues structure. Blues feeling is integral to jazz as well, whether the quasi-microtonal cry of blue notes or the expressive style of articulation in its sobs and shouts. As jazz has developed, it's often departed from these roots, but even during the heyday of free jazz in the 60s and 70s artists found ways to meld freedom and heavy blues into something profound and gritty: pioneers such as Julius Hemphill, Olu Dara, Phil Cohran, and Henry Threadgill could write deceptively simple, soulful themes whose broad improvisational latitude their bandmates brilliantly exploited. 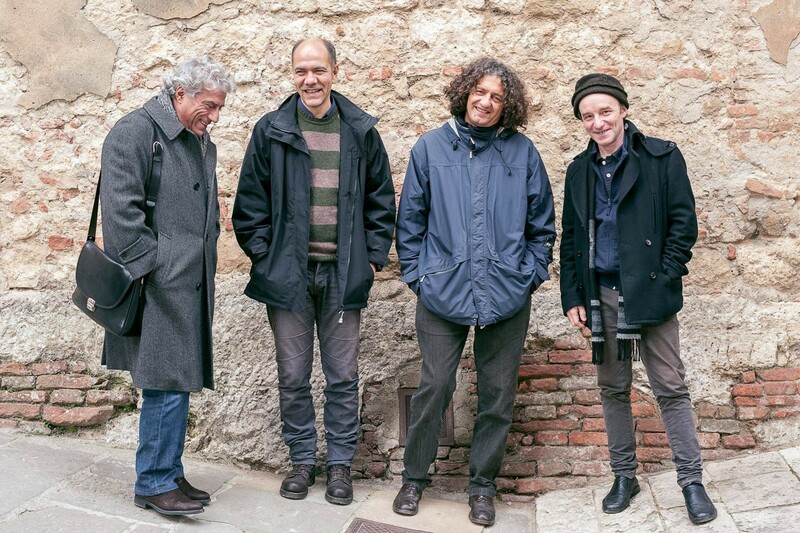 Sometimes it takes outsiders to recognize threads like that—the ideas that link jazz's basic building blocks to the bold practices of avant-garde explorers—and Italian quartet Roots Magic are just such outsiders. They make their Chicago debut tomorrow evening at Elastic, bringing a hardscrabble repertoire that combines Delta blues with free-jazz numbers that convey a heavy blues vibe—they connect those 60s and 70s jazz artists with much earlier blues singers such as Charlie Patton, Geeshie Wiley, and Blind Willie Johnson. Drummer Fabrizio Spera and bassist Gianfranco Tedeschi sculpt agile grooves that are somehow both swinging and dirgelike, over which clarinetist Alberto Popolla and saxophonist Errico De Fabritiis articulate earthy melodies in striated unison, frequently pulling apart for a seconds at a time and then gracefully realigning. Roots Magic's second album, Last Kind Words (Clean Feed), includes a version of Roscoe Mitchell's classic tune "Old," which appears on his 1966 debut album, Sound; the stark Hemphill masterpiece "Dogon A.D.," originally recorded in 1972, which extracts bottomless riches from the most fundamental ostinato groove; and Threadgill's soulful grind "Bermuda Blues," released in 1986, which the Italians give a surprising dublike treatment. The record also includes a handful of originals by Popolla that occupy the same primal terrain, where eloquence emerges from simplicity. Below you can check out the group's rendition of Patton's "Tom Rushen Blues," where they tease out lovely melodic threads that have always lurked in the singer's muscular, stentorian delivery but rarely rise to the surface.